The Dunes Motor Inn, 2281 Ocean Blvd, Rye, NH 03870 was cited by the New Hampshire Liquor Commission for Refilling Liquor Bottles in August and September 2017. The Dunes Motor Inn was fined $250 for this liquor law violation On inspections of the Dunes Motor Inn inspectors found funnels and larger liquor bottles under the bar, while only fifths of alcohol were displayed. Elizabeth Dinan reporting for SeacoastOnline.com quotes New Hampshire Liquor Commission’s Bureau of Enforcement’ Deputy Chief, generally speaking, liquor inspectors determine bottles are being refilled during inspections when they find funnels and “handles” of liquor in bar areas. He said fifths of alcohol will be found lined up on bars and the larger handles are hidden nearby for refilling them. Often, said Dunn, again, generally speaking, bars are caught refilling fifths of top-shelf liquor with “cheaper product” from the larger handles. Refilling Liquor Bottles by The Dunes Motor Inn, 2281 Ocean Blvd, Rye, NH is a violation of New Hampshire Liquor Law, which states, “Substitution of Brand; Refilling Bottles, I. No licensee shall substitute any other brand of beer, ale, liquor or wine in place of the brand specified by a patron unless the licensee has advised the patron that his desired brand is not available and has received his approval of a substitution. II. No licensee shall refill any bottle of legally purchased beverage or liquor.” Not only is this violation of New Hampshire Liquor Law a State Offense, it is also a Violation of Federal Liquor Law Statues Most Importantly, it is a violation of the trust of the consumers who purchase alcoholic beverages from the Dunes Motor Inn, expecting that the liquor in the bottle matches the label. When Alcoholic Beverage Retailers have a practice of deceiving the customer by serving them something other than what the customer ordered and paid for, it shows a total disregard for the customer in the name of excess profits. When the liquor bottle is being refilled by the establishment, the customer can no longer have be assured what liquor is in the bottle as was the case in New Jersey when 31 Establishments were busted in May 2013 for refilling liquor bottles and brand substitution, with tests later confirmed that the contents of liquor bottle were fake alcohol, some even including rubbing alcohol with food coloring. 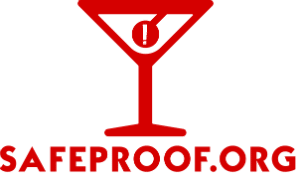 The mission of SafeProof.org is to raise awareness for Fake or Counterfeit alcohol and to keep liquor safe Search liquor enforcement using our map to keep you and your drinks safe. Report any illicit alcohol activity to us using our secure form or by calling (833) SAFE-TIP To get the latest Alcohol Alerts and violation updates in your area Sign-up for SafeProof.org emails and follow us on Twitter @SafeProof .